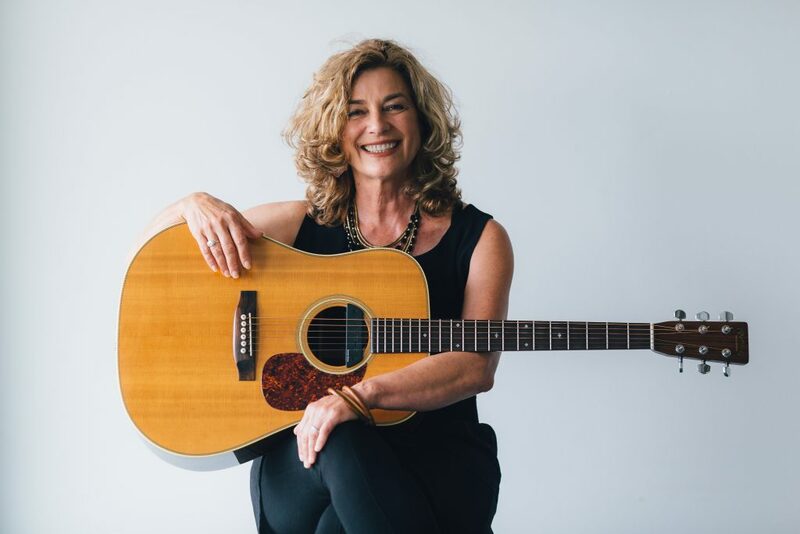 “A Celebration of Joni Mitchell” is the name of Kimberly Ford’s upcoming show that will come to Santa Barbara’s SoHo Restaurant & Music Club on Sunday, November 4. Joni Mitchell, who turns 75 on November 7, is being feted all over Southern California, including a two-day bash November 6 and 7 at the Dorothy Chandler Pavilion in downtown Los Angeles, where a wide range of performers including Norah Jones, Los Lobos, Graham Nash, Chaka Kahn, Diana Krall, James Taylor, Seal, and Rufus Wainwright will be singing her songs. 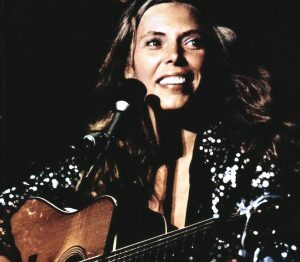 In-the-know people will also be traveling up to nearby Santa Barbara, where the Celebration of Joni Mitchell Band featuring Ford will give fans of Joni Mitchell’s large catalog of songs a chance to hear them performed live in a much more intimate setting. This show is a “celebration”, not a tribute as Kimberly says—nuanced, creative versions of the songs rather than straight note-for-note copies of them. Joni Mitchell took a right turn with her career that threw a lot of fans off. The composer/performer, who was famous for folk and folk-rock tunes such as “Woodstock,” “Big Yellow Taxi,” “Both Sides Now,” “Help Me,” “Blue”, and “Free Man in Paris,” which helped cement her as one of the most creative and prolific singer/writers of the 60s and early 70s, had a remarkable career. In the mid-70s however, she embarked on a path that took her into jazz, working with Wayne Shorter and Jaco Pastorius and culminating with her collaboration with legendary bass player Charles Mingus on the Mingus album. A lot of her fans, however, didn’t know what to make of the jazz-tinged music she found a deep love for. Eventually going through stages of electronic music, synth-pop and other music forms, Joni Mitchell covered a wide range of musical forms besides that for which she is best known for. “A Celebration of Joni Mitchell” is Kimberly Ford’s showcase and tribute to this wonderful writer/composer/performer. True to Joni’s vision, Ford doesn’t just do a note-for-note tribute band retrospective of greatest hits. Instead, she has gathered a group of stellar musicians with backgrounds, in jazz, classical, rock and more to cover all facets of Mitchell’s career. Her band members have played with Kenny Loggins, Roger Miller, Grant Geissman, Madeline Eastman, and Dianne Reeves. Notably, Ford and the band have the chops to pull off some of the more difficult jazz-based pieces, giving a high level of performance and a chance to hear nuggets from Joni Mitchell’s repertoire that are rarely performed. Ford recently spoke with the Los Angeles Beat about her music, her upcoming performance at Santa Barbara’s Soho Restaurant and Music Club in tribute to Joni Mitchell’s upcoming 75thbirthday and her new, Los Angeles based The Kim Project, a collaborative effort between her and LA-based musician Kim Richmond. 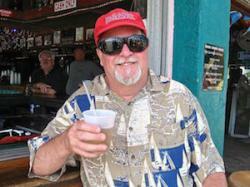 Ford, who also teaches vocal jazz and co-directs two jazz band camps, grew up with a love of Joni Mitchell music. She has a deep appreciation of the music and what really goes into these wonderful songs that Mitchell wrote and performed. Q: What is so special about Joni Mitchell’s music? A: Even in the early days when folk music was so popular and she came out on the heels of that, it was never like anybody else’s folk music. She didn’t follow that same path. First of all, it was all original; and second of all, one of the things that makes her so unique is that it is timeless. I’ve found very few of the songs to be contained within a particular time period or trend. Even Woodstock I think has some universal themes. I think that those are some of the things that make it—she’s pretty timeless in her themes, whether it’s love or politics or the environment, which are all three common themes for her; and then the unique tunings. I think it’s made her a unique character all along in her writing—there’s nothing conventional about her work at all. The other thing I think that makes her music really unique is her tunings. A lot of people don’t know this, but her songs are all tuned differently—she’s responsible for about 53 different tunings, and virtually none of these alternative tunings are anything that people use. When she would write her songs she would create kind of a sound canvas, where she would tune the strings in relationship to one another until they reflected herself—until she could create an open chord that could reflect the ideas that she had that she wanted to put on top of that. So she would create this sound canvas; there’s no better term; and then she would lay up her ideas—her poetic ideas; her lyric ideas. These tunes actually pull your heartstrings in all kinds of different ways. It’s understood in classical music really well that there are certain chords, certain actual pitches that the body responds to in different ways and I think that’s a piece of it; when you hear a certain chord in some of her songs you instantly go back to where you were when you heard that or a feeling that you had when you heard that. I think that’s essentially why she created these—it wasn’t just the melody or rhythm, it went a lot deeper than that. Q: Why do you consider your “A Celebration of Joni Mitchell” a celebration rather than a tribute? A: Tribute is a tricky word. Tribute would probably pigeonhole us for a lot of people with the idea that we are a tribute band, and maybe they would expect me to be coming out with a beret on my head or a Canadian accent. We’ve never thought of it that way, we have such regard for the music—I think the music is so deserving of that that we never really wanted that tribute cliché to misrepresent us. The celebration idea seems a little more appropriate for us. I don’t want to diminish people that do tributes, but I think this music is a little bigger than that. As we’ve gone down this road with the tunings and the complexity of it, you always have to really be taking what she did as an artist and knowing you’re just scratching the surface—that is what it is for us. Q: So it’s more of a free-form improvisation on her music rather than a note-for-note performance of it? A: When we started doing this, I had probably more of a background than the others in this music. I grew up with it, I learned the Blue album front to back in high school. I said ‘let’s listen really deeply, study and understand what she intended first; and once we understand what it is then we can take some liberties with it’, but I didn’t want to take liberties with it right off the bat. I hear a lot of that with jazz artists; there’s a lot of jazz vocalists that have done tributes to her and some of it works for me but some of it is so far afield from what I think she intended that the thought gets lost. So it’s somewhere in-between—I take a lot more liberties with the music with my Los Angeles band The Kim Project, but they’re pretty close to the music too; they pay pretty close attention. We’re blending Joni Mitchell and Herbie Hancock, so there’s a whole ‘nother layer of creativity that goes on with that group, so it’s different, but when you hear it, it’s pretty close to what she did, but because of who we are and our backgrounds, it will take a different form. One of our players played with Doug Kershaw, one of our players played with Kenny Loggins, so we all had to bring some of that forward and I think that influences the sound, but we try to be respectful of her intent as much as we can, without trying to duplicate it. I don’t listen to a lot of what she does because I don’t want to find myself emulating her vocally. It comes out anyways because of vocal runs—I do some of her vocal runs because I think that’s how the music was built, but that’s how it goes. In that way, it’s like modern-day classical in a way. Some people say ‘well that sounds just like her’—I did what she did, but my intention was not to sound like her, my intention was to sound like me! Q: You’ve got a great band for these shows. Do you feel that they really make the music special? A: Absolutely! The band has a really great energy. They’re really a great set of musicians, I’m really fortunate. This group is really devoted to this project. It’s really a musical journey with them, so because of that, I think the music does come out with a lot of heart. It will be a reinvention of course. It will never be like a recording, but that’s really not our intention anyway. We want to understand it. But we’re not trying to be just a jukebox recording—that’s already happened! So we’re trying to interpret as honestly as we can; be true to who we are and true to what it is. I think that’s the magic of the band; everybody brings something really unique to it because we do have really diverse backgrounds. Our roots are in jazz but we have really strong country influences, some have really strong R&B influences, others classical influences; and when you put all that together you wind up with us. It’s a neat sound, it really is! It’s unique. Q: Do you have a favorite Joni Mitchell song? A: It kind of depends on the day of the week! I have so many favorites—I think right now I am just in love with Hejira. Part of it is because it’s a new song for me I think and it really has taken my full attention learning the guitar part because it’s a lot more complicated than I feel like. I think in the message behind it, it is a real deep piece of work. Hejira really speaks to me, Woodstock always speaks to me. A lot do—-some are lighter and more playful, but the ones that really take me somewhere are Woodstock and Goodbye Pork-Pie Hat—it’s a really special song. We’re really struggling now with the setlist for this tour, we’ll have one long set and two short sets, and I’m timing everything so we don’t run over because we do have that problem! We always have a very long show, no one wants to get rid of anything! We’re all really passionate about every song. Moon at the Window is a really powerful song—I won’t do it at this show but I do it with the other band. Don’t Interrupt the Sorrow, when I really understood it, explained a lot about what is going on in current-day politics. That one really got to me. I try not to be too political, but I will make that connection I think. And this is a song she wrote when she was thirty—she’s now seventy-five. When I say her music is timeless, it really is—some of those come out as the poetry of their time I think. The fact that we can relate to with current themes now is pretty profound. It’s lasted the test of time. Q: Are you excited to be playing a show in your hometown of Santa Barbara? A: It’s great, it really is great; and we’re really excited about the SoHo show because we —know what to expect. It’s a bit of a reunion, we don’t play in our own town very much anymore—we travel, so it has somewhat taken us out of the hometown scene so it is special when we get to play here. There will be a lot of familiar faces and family that we don’t see everyplace; although some people are traveling with us on this tour so the entourage is building which I think is a lot of fun. I never expected that, but some people are actually tagging along! We’ve got a guy named Les Irvin who is Joni Michell’s webmaster for her official website; I would consider him the master librarian—he knows everything. He’s a real good friend and has helped us; he’s made sure that all of our events are on her web page—she’s been real generous that way too. So when you go to her website you’ll see our events. Les is going to join us, and Michael Paz, who also has also really been key to the Joni Mitchell discussion list. It started as an online discussion and has turned into a yearly festival somewhere in the world. They invite me always and I get to go and play. Michael is now our agent so he’s going to join us and a couple others are also going to pop up. But here in Santa Barbara, we know the stage, we know the sound people, we’ll know almost everybody in the room, so it will be a great way to start the tour. I’m really excited about it. Q: Isn’t it amazing that you’ll be doing one of your tour shows on Joni Mitchell’s 75thbirthday? A: It’s totally amazing—it was somewhat planned, we knew that it is a great time to do a show—it helps us draw a little more attention when we say it’s her birthday, come to this concert. It gives people another reason to come out. We’re going to be at Yoshi’s on her birthday and it’s a dream for us to be playing at Yoshi’s. They loved the idea that it was her birthday and that we were doing this, so it was this wonderful type of convergent energies that landed us at Yoshi’s on her birthday. This was probably the third year that we’ve focused on doing something on her birthday, but this one is at the top! Once we had Yoshi’s then everything just fell into place. So we’re basically starting the Celebration of Joni Mitchell in Santa Barbara and we’re calling it the Joni Mitchell 75thBirthday Tour. It’s all about her birthday! There’s going to be the big tribute at the Dorothy Chandler Pavilion in Los Angeles too, our agent is going to that as well as Les Irvin. So part of our crew is going to her real birthday and I believe she’ll be there. Then the next night they’re joining us for the rest of our tour. Q: What is your Los Angeles project, the Kim Project? A: It is really interesting that I would be doing two projects that involve Joni Mitchell’s music. It wasn’t necessarily planned, it just evolved, and I feel really fortunate to have that group in my life. Our pianist is Daniel Szabo, who just won the 4thAnnual ASCAP Foundation Symphonic Jazz Orchestra Commissioning Prize. It’s pretty power-packed band. He’s our pianist and everybody else is just about ready to skyrocket with their careers, they’re great people. That’s really exciting, it’s much more of a straight-ahead jazz project. The arrangements are all original and there’s a lot of vocalese involved. Basically, I’m singing with Kim Richmond, a Grammy Nominee arranger/composer. He’ll write parts that relate the Joni Mitchell melodies to the Herbie Hancock melodies and the two pieces will slide in and out of each other. It’s almost like a classical composition, so some of the parts are maybe 12 minutes long because they are a composition—they don’t repeat, they just keep moving and going into different movements. Vocalese means basically that I am singing without words and I am just singing, almost like Bobby McFerrin style. Sometimes I am following the horn and I’m blending my voice to the horn so it sounds like one instrument. It’s a challenge for me vocally to try and develop that kind of tonality I love it because it’s so challenging vocally to try to do that work, and it’s really an honor to have somebody like Kim Richmond writing for me. I challenge myself all the time with the “Celebration of Joni Mitchell,” with that band. But Kim Richmond challenges me with the Kim Project. It’s kind of a different animal, we’ve played the Blue Whale, we’ve played LACMA, we’ve played the Lighthouse in Hermosa Beach. We played Dizzy’s a few weeks back in San Diego and we’ve been lucky to find ourselves in some really great concert situations down that way and our players are really moving ahead with their careers too. We lost our piano player a few weeks back for a gig that he couldn’t make it to, so we wound up with the piano player from the Conan O’Brien Show of all things. Scott Healy was our sub since Daniel was off playing with Herbie Hancock. These are great problems to have! The level of musicianship in that band is pretty remarkable and the material is different. It’s almost like classical jazz in a way, so it just stretches me in a different way and I love the Project. Q: Thanks, Kimberly, have some great shows and an awesome tour! The Celebration of Joni Mitchell featuring Kimberly Ford comes to Santa Barbara on November 4, 2018, kicking off a multi-city tour. On November 7, 2018, they will play Yoshi’s in Oakland CA, on Joni Mitchell’s birthday. Other shows include the Reel Fish Shop & Grill in Sonoma, Kuumbwa Jazz Center in Santa Cruz and The Palms in Winter, CA. This entry was posted in Interviews, Miscellanious, Upcoming Events and tagged Celebration of Joni Mitchell, charles mingus, dorothy chandler pavilion, Joni Mitchell, Kim ford, Kimberly Ford, Kuumbwa Jazz Center, santa barbara, Soho Restaurant and Music Club, The Kim Project, Yoshi's. Bookmark the permalink.